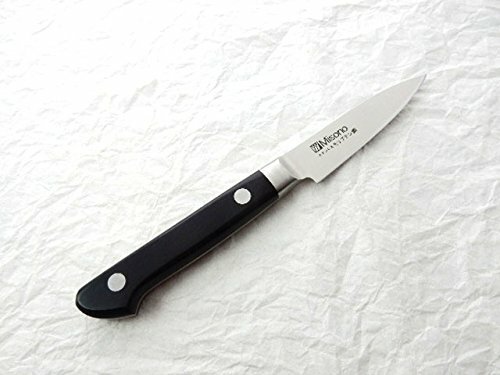 Misono Stainless Molybdenum Steel,Japanese Paring Knife 80mm/3.1"
Misono Stainless Molybdenum Steel Paring Knife 80mm/3.1" , manufactured by one of the most famous workshop, Misono Hamono Co.,Ltd. in Seki/Gifu prefecture, Japan. This model is made of High Carbon Stainless Molybdenum Steel. If you have any questions about this product by Misono, contact us by completing and submitting the form below. If you are looking for a specif part number, please include it with your message. Yoshihiro VG-10 Hammered Damascus, HAA Japanese Paring Knife Mahogany Handle 80mm/3.1"